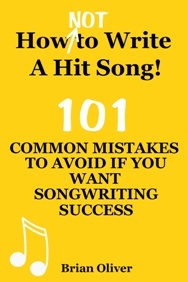 The urge to express yourself is one reason why many songwriters start writing in the first place. And if you can also touch other people’s emotions by writing about a personal experience that they can relate to in their own lives, then it’s usually the sign of a good song. Katy Perry has revealed that she takes this a stage further by pouring out her darkest secrets and concealing them in her songs. Many of her songs actually contain cryptic truths about her life and relationships, she says. Katy also revealed that she initially struggled with songwriting because of her conservative Pentecostal upbringing. In fact, having had very little exposure to mainstream pop music in her strict childhood, she started out pursuing a career in gospel music as a teenager. She didn’t start to open up as a writer, she said, until she met Glen Ballard, her mentor and producer.